We craft our products in small batches in our own commercial kitchen using local fruit (including our black currants, raspberries and aronia) other mostly organic berries, and honey or organic sugar. We do not dilute our products. A little goes a long way! Check our recipe page for creative ideas. Kiss of Cassis, our black currant cordial, is concentrated fruit juice. 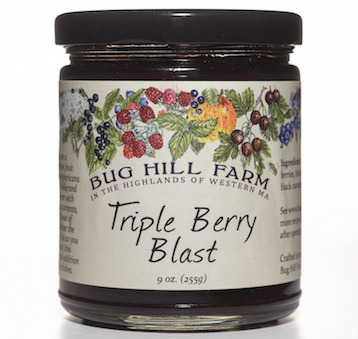 Whole black currants (¾ lb per 8 oz bottle) are pressed and juiced and then honey is added until the tartness of the berry is balanced with the sweetness of honey. So black currants and honey - that's all - no added water or alcohol. As with a shrub, you can use Kiss of Cassis in myriad ways: create a thirst-quenching beverage or special cocktail, drizzle over ice cream or yogurt or add to a marinade.